South Dakota has a proud history of producing exceptional multi-sport athletes who have went on to prominence on the national stage. None have been more impressive than Chad Greenway. As a Mount Vernon High School senior Greenway was heavily recruited by college coaches who coveted his wide-ranging talents on the basketball court. 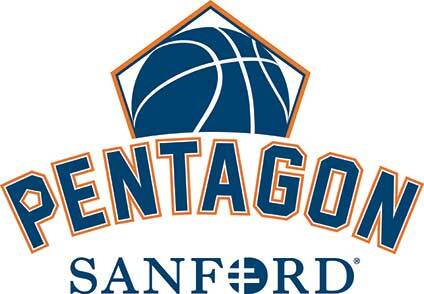 The 6-foot-4 forward averaged 26 points and 11 rebounds per game for Coach Eric Denning and the Mustangs. He was named to the Class B all-state team for a second time. Greenway scored a Mount Vernon school-record 1,450 career points. As a sophomore he averaged 20 points per game while during his junior season he produced 23 points and 13 rebounds per game. Known for his strength, speed and agility, Greenway was an adept perimeter shooter and a proven low-post scorer. The athletic ability that helped Greenway excel in basketball was clearly evident during track season. He was a championship-level hurdler and set the State Class B Meet record of 47-1½ in the triple jump. Greenway was a quarterback and safety who led the Stickney/Mount Vernon Knights to back-to-back Class 9AA state football championships during the 1999 and 2000 seasons. He was an all-stater three years and the state’s Gatorade Player of the Year as a senior for Coach Myron Steffen. 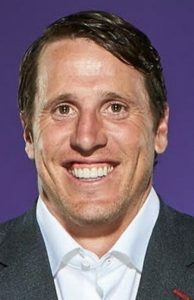 The challenge of major-college football appealed to Greenway. So he turned down a number of basketball offers and accepted a scholarship from Coach Kirk Ferentz and the University of Iowa. With the Hawkeyes he was moved to linebacker and was an important part of teams that went 38-12 over four seasons. Greenway was all-Big Ten Conference three years and earned All-America recognition twice. After being an Iowa captain during his senior season in 2005, he entered the NFL Draft and was selected 17th overall in the first round by Minnesota. What followed was an illustrious 11-year career with the Vikings in which Greenway established himself as an unquestioned team leader. He ranks fourth in franchise history with 1,334 total tackles. Greenway is widely respected for his tireless civic involvement. He was named the Vikings’ Community Man of the Year multiple times. And in 2015 he was the Byron “Whizzer” White NFL Man of the Year. After the 2016 season Greenway retired from the Vikings. In 2017 he was presented the Big Ten Conference Dungy-Thompson Humanitarian Award. Greenway now spends time working with his charitable Lead the Way Foundation and as a speaker. His foundation has raised more than $2 million and assisted those in need in the Twin Cities area through a variety of outreach programs. He and his wife Jennifer live in Wayzata, Minn. Children are Maddyn, Beckett, Blakely and Carsyn.